Run it fast, run it long, run it any which way! This week you’ve recorded times from 4 mins 45 seconds to 33 hours 56 minutes and lots more in between with some short and snappy runs, some really loong ones and some pretty soggy ones too. And there’s been racing action abroad too with more Ironman competition. In other words, the usual spectacular celebration of running (and swimming and cycling) exploits from the Clayton membership. Fantastic stuff. 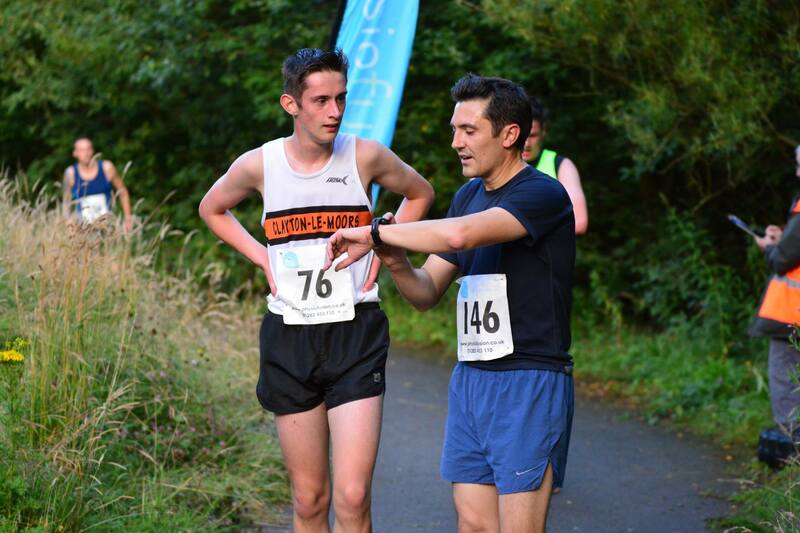 Organising his first senior race, Junior Coach Jason Pier did a super job with this popular fixture on the Burnley and Pendle Grand Prix series, which ran like clockwork and attracted a record 180 seniors to race on a warm, balmy mid week night. Fast Wharfedale Senior James Hall blazed into the finish in under 16 minutes with 15:44, followed by our own Danny Collinge in 16:29. From then on, the flood of Clayton runners was pretty constant, with many PBs and course bests peppering the results. There was also a record turnout of 83 juniors for these races, a large section of whom were Clayton Juniors. 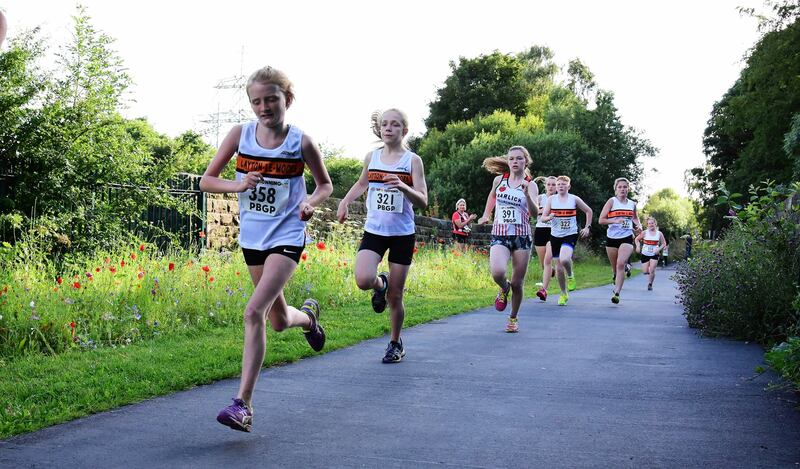 There were age group wins for Freya Birtwistle (U9G), Helena White (U13G), Tom Holden (U17B) and Millie Stubbs (U17G). Podium places were also occupied by Robbie Smedley (U13B), Finley Stubbs (U13B), Michael Stevens (U15B), Adam Stephenson (U15B), Ella Dorrington (U15G), Jay Bowman (U17B), Kaliska Clarke (U17G) and Alfie White (U17B). All our Juniors ran brilliantly and were smiling at one point or another during the proceedings. 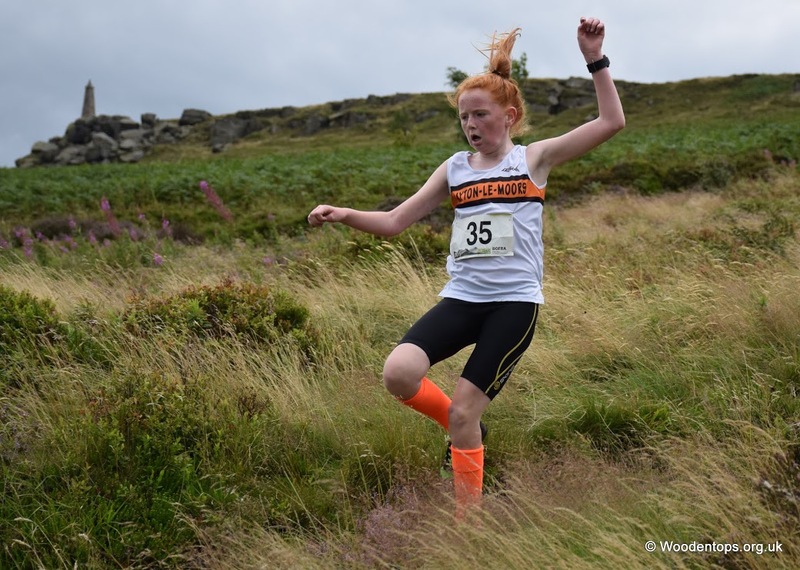 This midweek Rossendale Harriers fixture over 6 miles takes competitors on an industrial fell-tour of some of Rossendale’s largest stoneworking sites, past and present, with some good old fashioned moorland running thrown in too. Won by Phil Marsden from Horwich RMI, Chris Snell was the first Clayton runner home in 7th, with Alan Life in 11th and Stephen Fish in 47th. 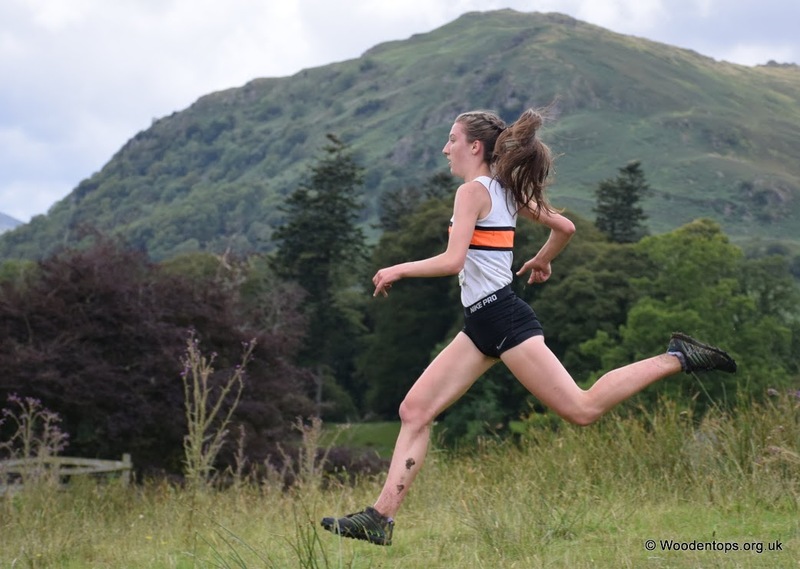 Along with the Guides races, the Rydal Round makes up the fell running attractions at Ambleside Sports. This longstanding AM race is held over 9 miles and 300ft of climb. 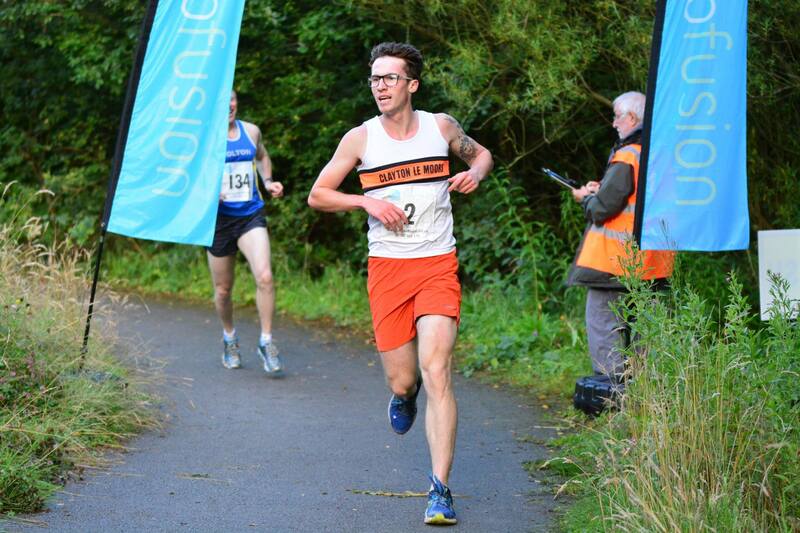 Matt Perry was 12th in a fast time of 1:31:33 behind winner Simon Bailey (Mercia) in 1:23:37, Richard Briscoe was 63nd in 1:57:30 and Alan Dorrington 72nd in 2:03:32. 144 runners started. “Chasing Briscoes in the mist… that was the theme for this Fairfield Horseshoe by another name. Following pretty much the same course, save for the initial climb up Nab Scar and a little bit of contouring around rather than over intermediate peaks, the weather during the round deteriorated reasonably decisively as a heavy rain shower and strong winds blew in over Fairfield summit. Depending on where you were in the field, this meant being buffeted and drenched at some point, some escaping the worst and others like myself being battered by the weather over the rougher rocky sections over Fairfield and down to Link Hause. It had started innocuously enough, as I found myself pacing the long initial climb up to Heron Pike, only for Richard Briscoe to stride past at the bottom of the climb. Assuming he had been out clubbing till 4am the night before/raced for 3 days previously/was severly dehydrated* (*delete as applicable), I happily let him go and marvelled instead at the sight of Simon Bailey running the top section of the climb, some considerable way above me. I resolved to catch Richard later in the race for sure. 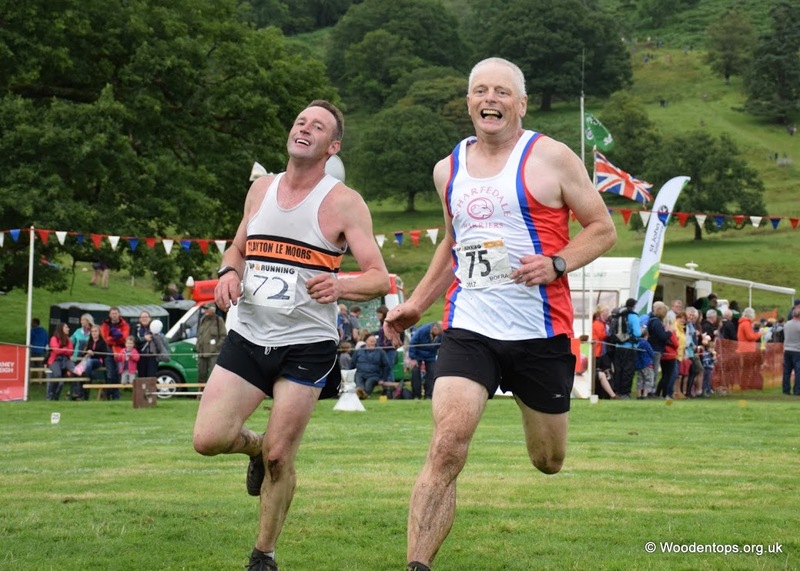 Along with Grasmere, this is one of the oldest and more prestigious Guides Races in the country, following the usual ‘stupid steep up and then down’ format of Guides Races over the years. 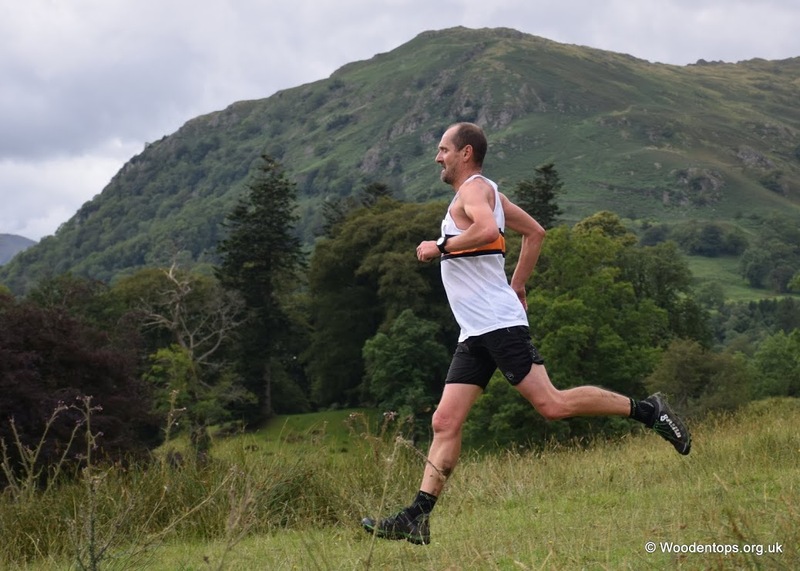 In the Senior race won by Rob Hope in 14:15, a plucky Richard Briscoe decided to see just how wrecked his legs might be from the Rydal Round a couple of hours before but still managed a respectable 21:39 and 59th with Andrew Firth in 72nd. Chapeau! Grim, overwhelming, stomach churning and unforgettable. 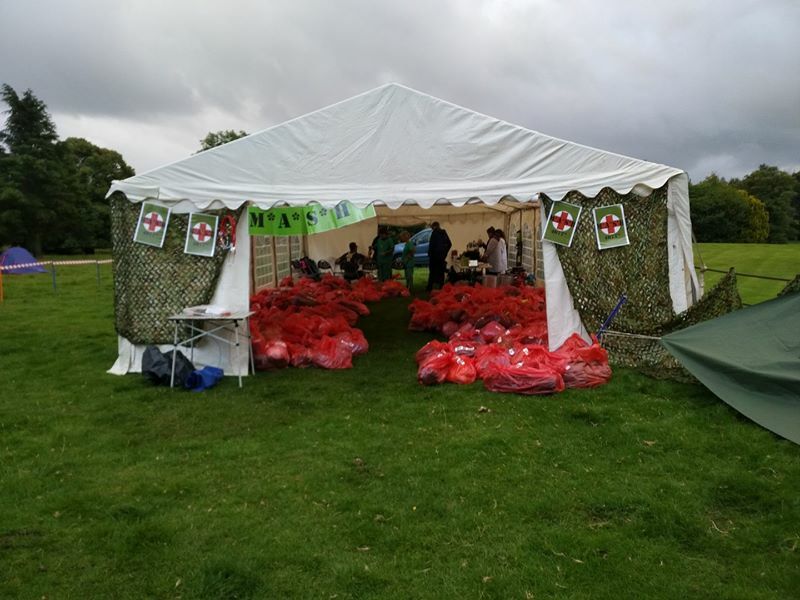 That was just the portable toilets at this years Lakeland 100/50 event, never mind the tough, iconic ultra distance courses and traditional Lakeland ‘weather’ on offer to hardy ultra runners this weekend. 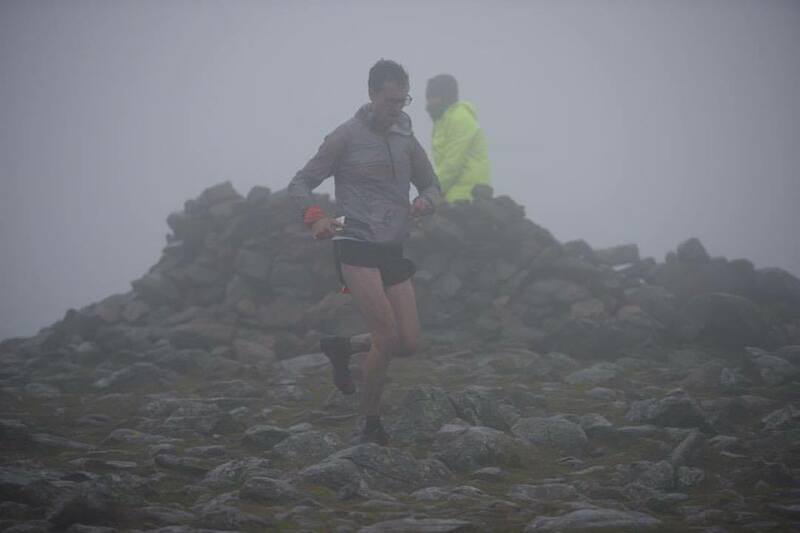 Put simply, Martin Terry had a knockout performance in the Lakeland 100. He ran consistently well throughout the race and was looking happy and strong at Dalemain checkpoint. He continued to race steadily and, despite a temporary period of tiredness in the later stages, managed to pick off a few runners to finish in 17th place overall with a time of 26:09:03. There are no age categories in the race but that position would have been 1st V50. Andrew Armstrong finished in 113th place with a time of 33:56:30 despite suffering from sickness and struggling to refuel throughout, opting for a liquid diet of flat Coke and a single cup of soup between miles 25 and 75. Andy does like to keep things simple and minimal, but we’re not sure that nutrition strategy will fully catch on in the ultra world. Nor will the acquisition of trench foot due to the wet conditions that battered the 223 finishers in the 100 race for much of the weekend. Congratulations to both on a truly mammoth accomplishment. Trench foot pictures withheld due to upsetting content. 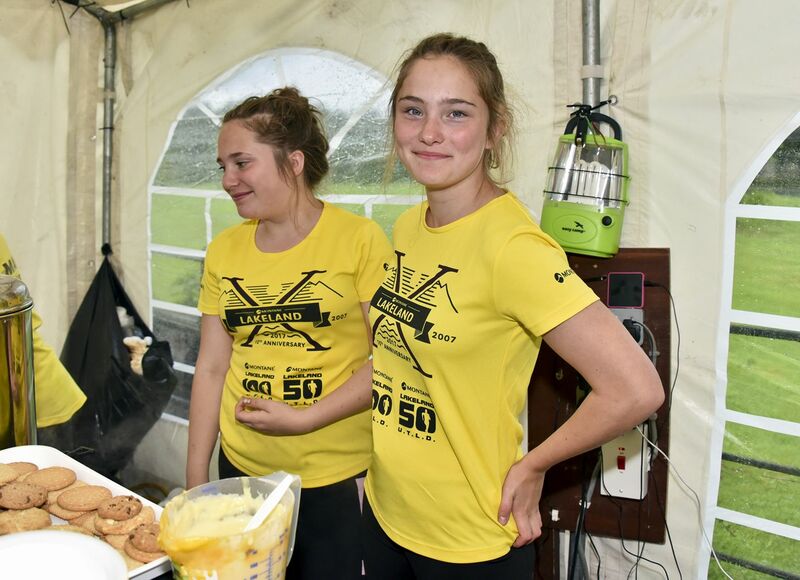 Also a special mention to Clayton Juniors Natasha and Bronia Olszewska who worked really hard all weekend at the Dalemain checkpoint, looking after the 100 mile runners brilliantly. Andy Laycock had a fantastic run in the 50 mile event, starting on Saturday. He was in first position for the first half of the race until he was overtaken by Casper Kaars Sijpesteijn who then went on to break the course record. Andy finished in 07:51:42. 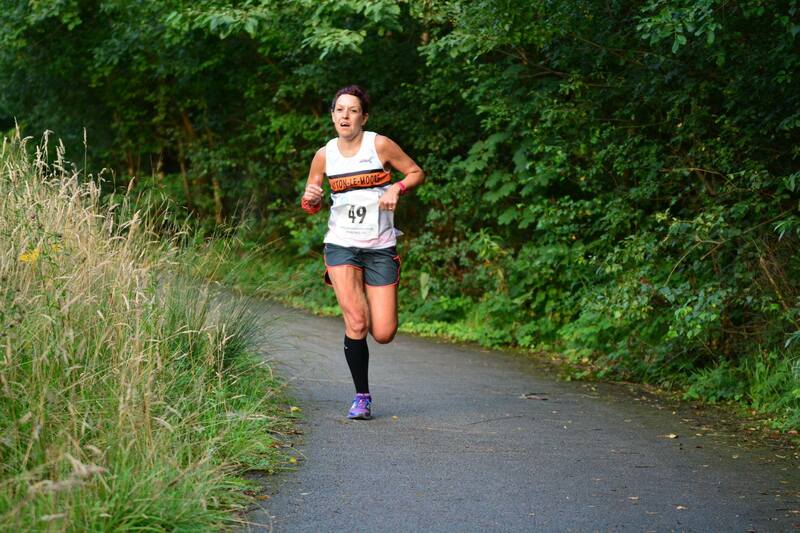 Laura Hesketh had a fantastic run here, placing 1st Lady in 35:23 (a PB), and 7th overall. This continues her super run of form in recent races including last weeks Sale Sizzler 5k (16:44) and which has seen her place 16th overall in the UK rankings, the highest position ever for a Clayton senior lady. 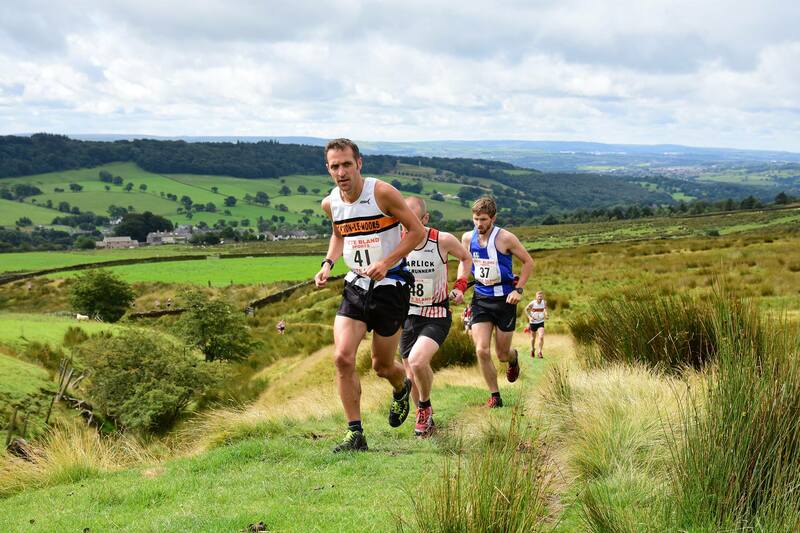 This 8 mile race with 2001ft of climb starts out of Calderbrook near Littelborough and heads out over Hades Hill to Ramsden Clough before returning over Shore Moor. The race was won by Mike Fanning from Holmfirth in 1:10:52 and Paul Hesketh, Jack Holt and Jeffrey Pickup ran coming in 17th, 30th and 48th respectively. 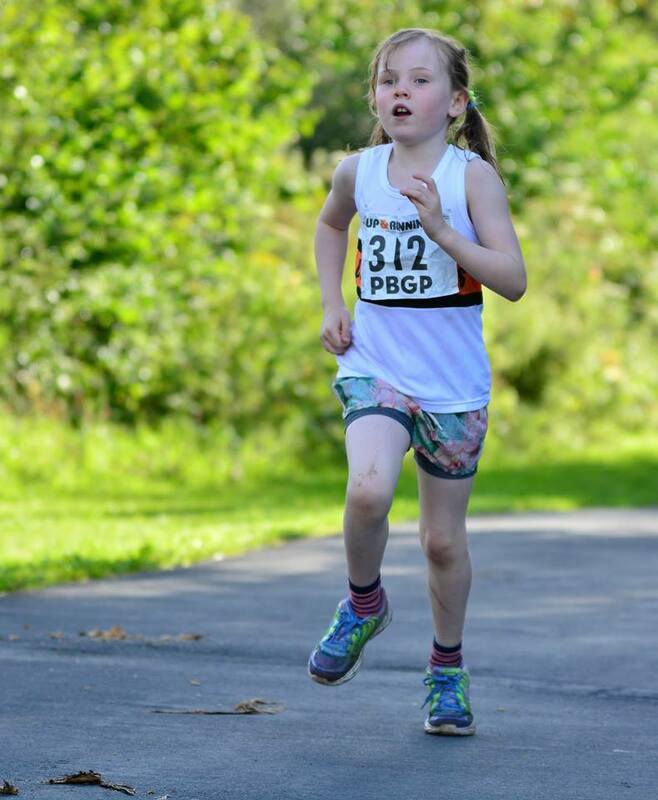 Helana White popped across the border to this local gala fell race with its stone wall obstacled finish and came back with a 3rd place in the U12G race. And probably an ice cream. This English Hill Runners fixture takes in a 5.25 mile loop from Sabden over the quieter end of Pendle with some nice contouring running amongst a couple of stiff climbs giving around 1500ft of climbing. Dave Motley got his race face on as well as the bit between his teeth, and took a fine second place behind winner Grant Cunliffe of Rossendale Harriers with support from Chris Snell in 8th, Rick Moore in 31st and Peter Dugdale in 44th. “Vicky Heys is an Ironman!!! Congratulations from all of us too! 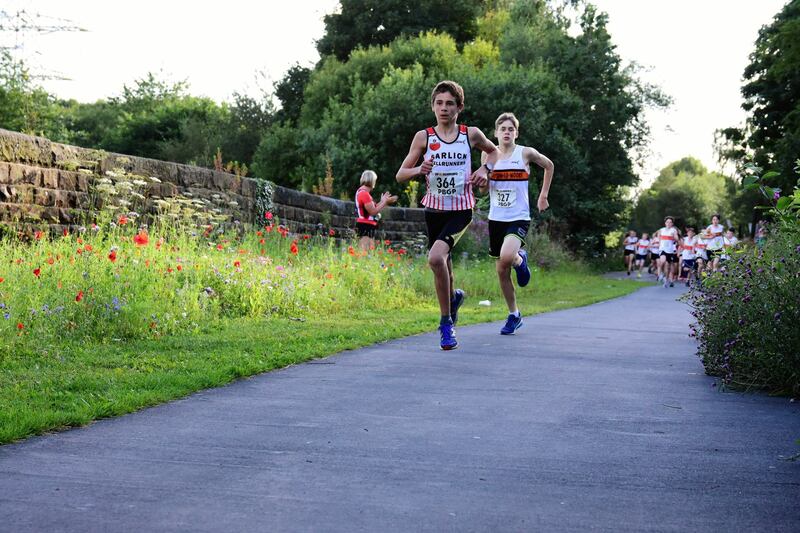 Burnley parkrun – a total of 356 runners took part. 2 Nicholas HENNESSEY 18:13 JM15-17 New PB! Rugby parkrun – a total of 171 runners took part. Harrogate parkrun – a total of 373 runners took part. 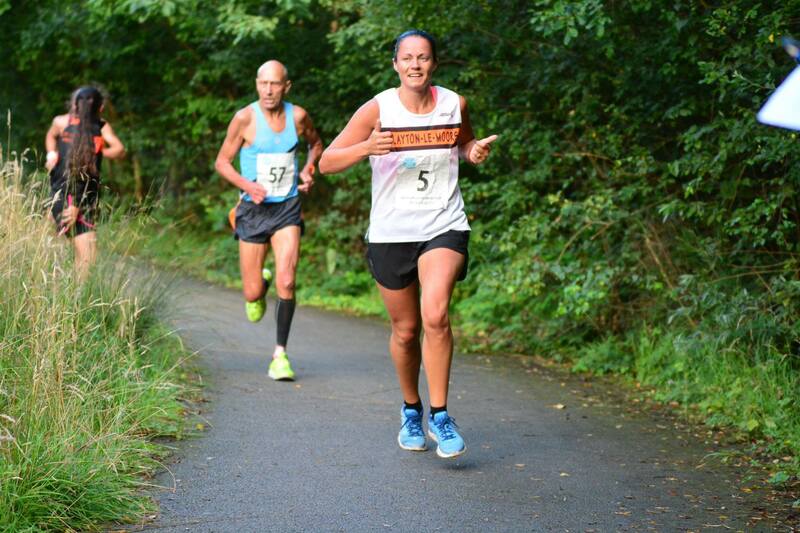 Sewerby parkrun – a total of 234 runners took part. Lyme Park parkrun – a total of 126 runners took part. Pendle parkrun – a total of 81 runners took part. Fell Foot parkrun, Newby Bridge – a total of 241 runners took part. 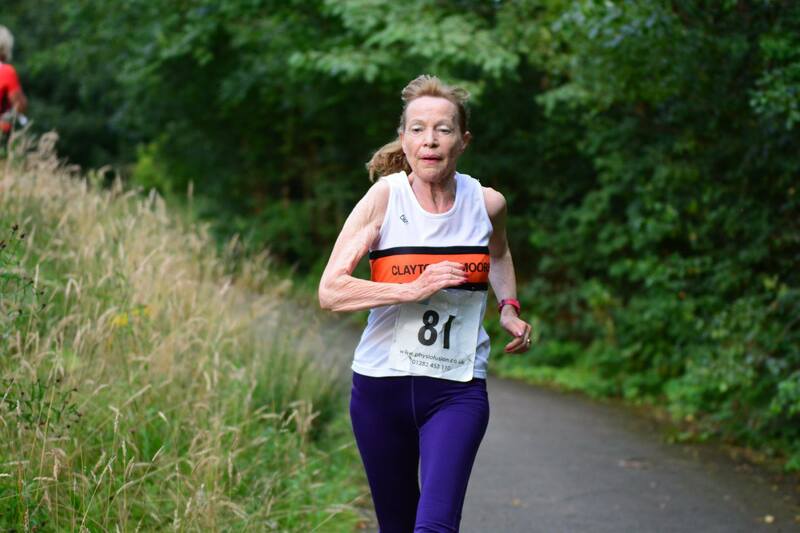 Witton parkrun – a total of 62 runners took part. Lytham Hall parkrun – a total of 150 runners took part. 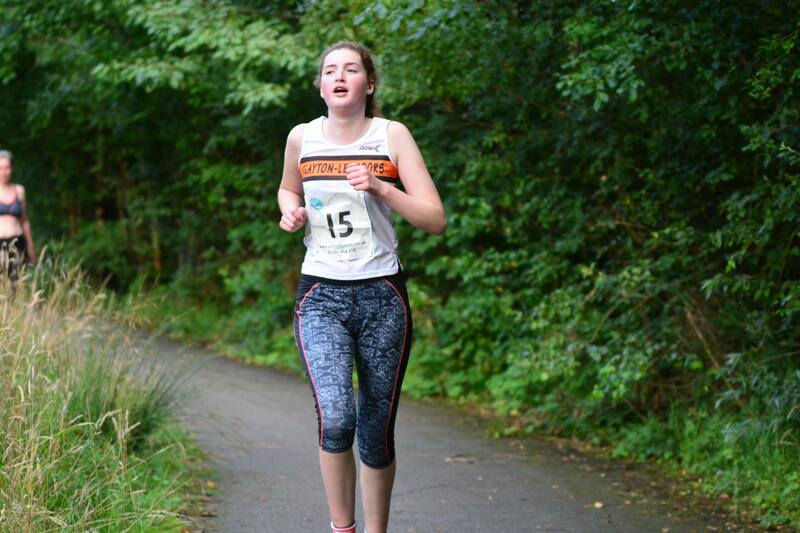 Lancaster parkrun – a total of 218 runners took part. Blackpool parkrun – a total of 173 runners took part.